This member of the fern family looks more like a grass than a fern! Thin, grassy stems spread to form mats 3" high. It requires wet conditions and does best under bright light. 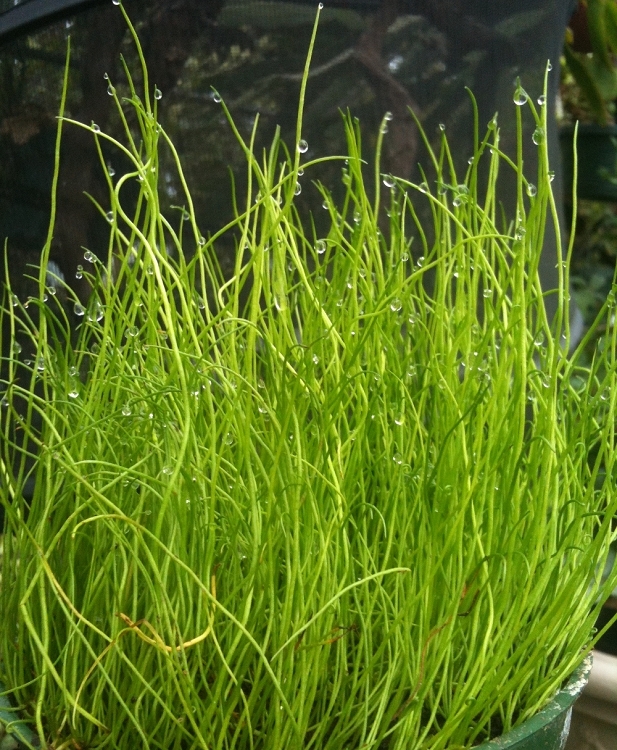 It has an unusual habit of secreting water from the tips of the fronds that makes the plants sparkle!